Please note that the capacity of all venues is limited. Arrive early to gain prompt entry and enjoy the fun! From 7:30pm: get an early start to the weekend with our Quiz Night at the Camelford Arms. Test your knowledge for a chance to win a terrific prize. Be sure to arrive early to get a table! From 8:00pm: meet and greet at the Welcome Night and Cabaret at A Bar. Come and meet your hosts, and enjoy the cabaret and games with your hostess Mysterry. Collect your wristband and other preordered items. 10:30pm-late: Come to Daddy at Envy. Dance the night away and enjoy the great drinks deals! From 10:30am: Breakfast Bears at the Camelford Arms. A full set-price breakfast, with additional items available. Last orders at noon, so get in early! 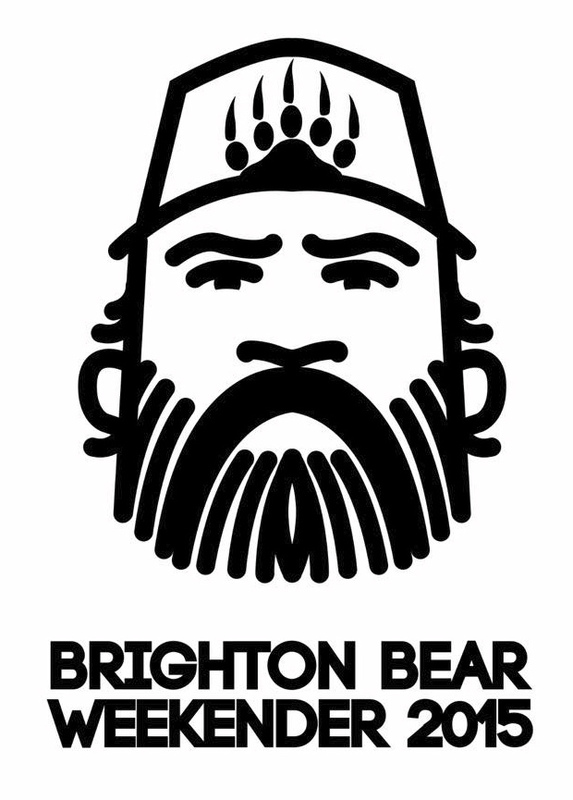 1:00-4:00pm: Brighton Bear Weekender Picnic in Queen’s Park. Eat at Lunch Positive’s wonderful pop-up cafe, or bring your own picnic and graze in the park. From 4:00pm: Enjoy drinks and good company at the Camelford Arms. 8:00-11:00pm: Bear Shaft at Legends basement club. Classic disco and eighties groove spun by DJ Josh. Drinks deals and free entry (otherwise £2) with wristband. 10:30pm-2:00am: Grrr! at Latest Music Bar. Carry on dancing, with DJ Rob C (RVT, Hoist, Eagle, Energy Bears, G-A-Y) on the decks. Get hot and sweaty at Brighton’s men-only cruise bar. Tunes from DJ Bozzy Bear. 12:00-4:00pm: Sunday Roast at the Camelford Arms. Full roast lunch with all the trimmings, and a range of great beers and other drinks. 12:00-4:00pm: Alternative Sunday Roasting at Brighton Sauna. The climax of the weekend, with great cabaret acts, drinks on the sunny terrace, and the raffle draw. 8:00pm-late: Round off the weekend at Subline. Cruise with the bears at Brighton’s men-only bar.